If you and your spouse cannot agree on how to divide your property, your divorce court will do it for you. Connecticut is an “all property equitable division state” rather than a community property state. This means Connecticut courts split marital property between spouses in a manner that is equitable but not necessarily equal. The court does not automatically split property 50-50, though it could if it determines an even split is appropriate in your situation. In fact, the court could award you or your spouse much more than half of your property if your circumstances make such a disproportionate award appropriate. Unlike other equitable distribution states, Connecticut law permits the court to divide both marital property and separate property. Marital property is property acquired during the marriage, regardless of which spouse acquired it because it is all considered part of the joint venture that is marriage. Generally, separate property is property you acquired before you got married or received as a gift or inheritance during the marriage. Depending on your circumstances, the divorce court may divide only your marital property, but it could also divide a portion -- or all -- of your separate property. This means an inheritance you received -- either before or during your marriage -- is not “safe” from being divided in divorce simply because it is considered separate property. The court considers several factors before making its division decision. These factors include the length of your marriage and the reasons for your divorce along with both spouses' age, health, sources of income, debts, special needs and future earning capacity. 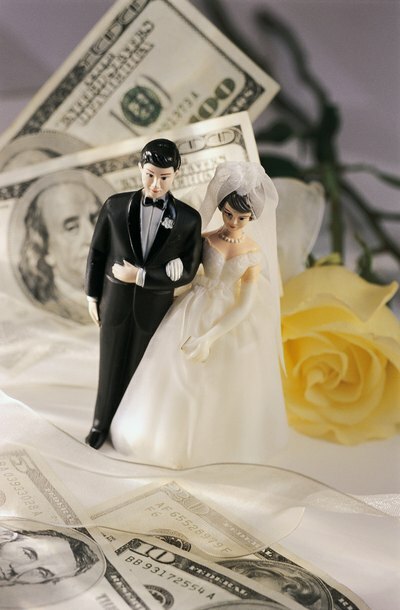 Connecticut courts also consider the contributions each spouse made to the value of the marital assets and whether one spouse worked to put the other through school. For example, the court could award more money to a doctor’s wife because she worked to support the family while he was in school. Though Connecticut courts can give your spouse a portion of your separate property, including an inheritance, the court could also consider the inheritance to be marital property if you do not keep it separated from other marital property. For example, if you inherit cash and deposit it in a joint bank account and use it to pay family bills, the court may not be able to distinguish between your inheritance and the other money that comes through that account. This is called commingling, and courts usually treat commingled property as marital property. This is also true when separate property has been used to enhance or improve marital property, such as using money you inherit to make improvements to your marital home. When you divorce in New Hampshire, the state court must decide how to divide property between you and your spouse. If you and your spouse can agree on property division, the court may accept your agreement; if you cannot agree, New Hampshire courts use the guidelines set forth in New Hampshire’s Revised Statutes Annotated, RSA, to decide these issues for you. Since New Hampshire is an “all property” state, courts can divide your inherited property in the divorce. Tennessee law requires an equitable division of property between two parties in a divorce. However, Tennessee law does not consider all property to be divisible in divorce, including an inheritance, depending on how it was used during the marriage.